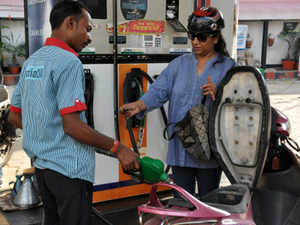 Petrol price was hiked Friday by 19 paise per litre and diesel by 28 paise, the second increase in rates in as many days on firming input cost. Petrol in Delhi now costs Rs 69.07 per litre - the highest this month - up from Rs 68.88 per litre rate of Thursday, according to price notification issued by state-owned oil firms. The increase -- third this month -- comes on the back of a 38 paise increase in petrol rates and 29 paise in case of diesel announced on Thursday.